Visit the Ha Kam Wi Tawk Pidgin Yet project website. This film was made by students enrolled in an advanced media production class at Searider Productions, an award-winning media program at Wai'anae High School on the island of Oahu. In 2009, researchers from the Charlene J. Sato Center for Pidgin, Creole, and Dialect Studies at the University of Hawaii at Manoa began working with the students at the award-winning program. We asked the students to explore attitudes about Pidgin, the creole language of Hawaii. The students took a documentary approach, filming themselves, their friends, and their families. Though linguists recognize Pidgin as a language, equivalent to any other, many people in Hawaii continue to think of it as broken English. The consequence of thinking of Pidgin as a broken form of English is that Pidgin has been treated as inferior to English and that Pidgin has yet to be appreciated as a language in its own right. This film is an attempt to challenge this way of thinking by showing how Pidgin is valued in everyday life by Pidgin speakers living on the Leeward Coast of Oahu. Visit the Pidgin: The Voice of Hawaii website. This film profiles the language of Hawai‘i’s working people in its rise from plantation jargon to a source of island identity, pride, and controversy. Winner of the audience award at the Honolulu International Film Festival, 2009. Based on the novel Wild Meat and the Bully Burgers by Lois-Ann Yamanaka, this film celebrates the poetry and power of Pidgin while portraying the tensions surrounding Pidgin and “standard” English in school classrooms and beyond. 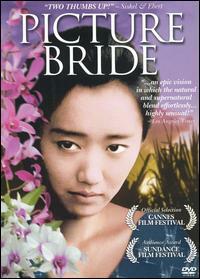 Visit the Picture Bride website. Set in 1918, this film depicts little-p pidgin during the time when it was starting to become a creole language. The language is often problematic in terms of authenticity. The characters who are first generation immigrants would have spoken small-p pidgin, but they are depicted as speaking Pidgin (Hawai‘i Creole). Silent Years - The Movie. from Yvette Williams on Vimeo. Visit the Silent Years website. After years of repression, a woman must journey back to her past and confronts her memories of teenage abuse while growing up on the Big Island of Hawai‘i. Adapted from selected poems by renowned Hawai‘i author Lois-Ann Yamanaka, the film tells a universal story using Pidgin. There are other films that portray Pidgin in Hawai‘i (for example, Lilo and Stitch, Forgetting Sarah Marshall, North Shore, 50 First Dates, and Honeymoon in Vegas) but the Pidgin that is spoken by the characters is, in polite terms, inauthentic. The Pidgin is inaccurate in terms of grammar and is often spoken with very exaggerated pronunciation. Still, these films provide interesting material for examining racial and class-based stereotypes about Pidgin, and for thinking about why it is that filmmakers don't worry about making sure that the language used on the films is accurate and authentic. Click here to see an activity for high school students that examines the representation of Pidgin in films and other media.